Courtesy of Cathleen Falsani and Kenneth Tanner. On Wednesday, February 25, members of the band U2 gathered at St. Mary’s Church outside of Dublin in order to observe the passing of the Rev. 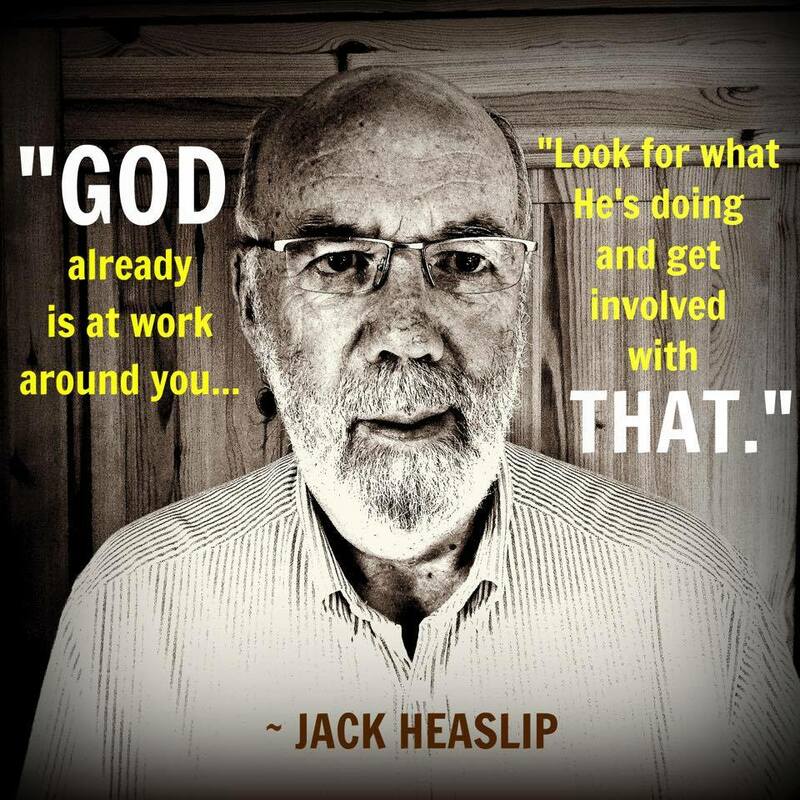 Jack Heaslip, the band’s long time friend and “traveling pastor.” The 71-year-old Anglican priest passed away after a lengthy battle with motor neuron disease. Heaslip’s pivotal spiritual guidance and pastoral care was recognized by the band when he was referred to as “our North Star” on the liner notes of U2’s last album Songs of Innocence. Heaslip performed the marriage ceremony between Bono and his wife Ali, baptized their children, and conducted the funeral for Bono’s father. Bono described Heaslip “as a source of inspiration and calm for us over our lives,” in the collaborative autobiography U2 by U2. As a guidance counselor and English teacher at Mount Temple Secondary School, Heaslip is credited with helping walk Bono through the agonizing death of his mother when the singer was 14-years-old. “I liked him – more than liked him, I trusted him,” Bono writes. Almost always outside of the glare of the spotlight, Heaslip garnered the attention of spiritually-minded fans of U2 when an audio recording was released of the blessing Heaslip offered to the band and entire crew on the night before the Elevation Tour began in March 2001. The tour consisted of 113 shows and was seen by more than 2 million fans. “I felt that what we want God to do tonight is to pour his anointing,” Heaslip told the band and crew. “That’s not just a dab on the forehead – that’s a rich anointing of his oil. We’re told the oil would flow down from the top of your head – and in my case into your beard – and down your front and make a mess. “But that’s the richness of God’s anointing,” Heaslip continued. “And what I felt God wanted me to do today was to pour out, in his name, that anointing on everything to do with this tour – every body, every thing. We think of the band, but we think of every piece of equipment and everyone who works that piece of equipment, everyone who packs up, everyone who drives a car, everyone who does the catering, everyone who is responsible for technology, every joint of wire, every plug, every soffit, every light. According to news reports from the funeral, the Rev. Kevin Brew said that Heaslip would not have wanted the focus to be on himself. “Jack made a lasting impression on so many people in so many ways. Jack being Jack, he would have had certain views on how his funeral to be conducted. “It was not to focus on him but rather on the Christian faith he proclaimed in so many different ways,” Brew said. U2 members Larry Mullen, Adam Clayton and the Edge were among the congregants. Bono’s role in the service included reading a passage from Isaiah 61 – the text used as the Elevation tour blessing 14 years prior. Last year, Heaslip wrote a meditation in Disquiet Time: Rants and reflections on the Good Book by the skeptical, the faithful, and a few scoundrels (Jericho). His devotional contribution was called “A Tale of Two Mottoes,” and was a reflection on a verse from Psalm 127 that was publicly displayed on the wall of the assembly hall at Mount Temple. “Jack was a magnificent man with wisdom surpassed only, perhaps, by his humility,” said Cathleen Falsani, religion journalist and co-editor of Disquiet Time. “He had a way of gathering people under his wings, quietly shepherding them in courageous directions and to embrace a Creator who is exponentially more than we ever could imagine. 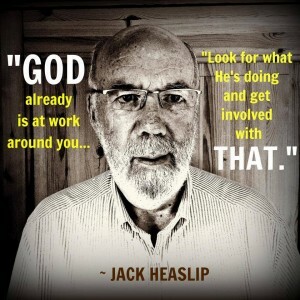 God’s fingerprints were all over Jack’s life and in turn all over the lives of those who knew and loved him best. It was an honor to call him friend, to know him the wee bit that I did, to be kept in his heart and lifted in his prayers. Steve Beard is the founder and editor of Thunderstruck Media.